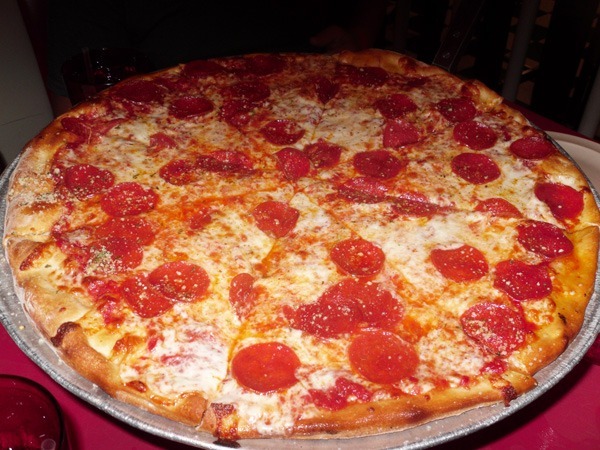 Hearing from many that New York, New York Pizza in Ybor City has some of the best pizza in town we decided we would give it a shot after a night at Gameworks. We arrived into the place, perhaps not the nicest looking restaurant…but plenty of customers. We found a booth and were quickly waited on. The waiter gave us some time to look over the menu and we decided to go with a large pepperoni pizza. When the pizza came out it smelled fantastic. There was dim lighting so it was hard to get a good picture of the pepperoni pizza. I took a few photos so hopefully we could portray what it really looked like. The crust was nice and crunchy, the cheese was oozing (thankfully not too hot so we wouldn’t burn our mouths, but just right) and the quality was the best I have had in Tampa. The pizza had little grease as well. Each pepperoni was enjoyable, easily passing any other places visited so far on the pizza tour. Seasoned just right, they made sure not to go overboard with the add-ons and had the additional condiments available to us for our use. 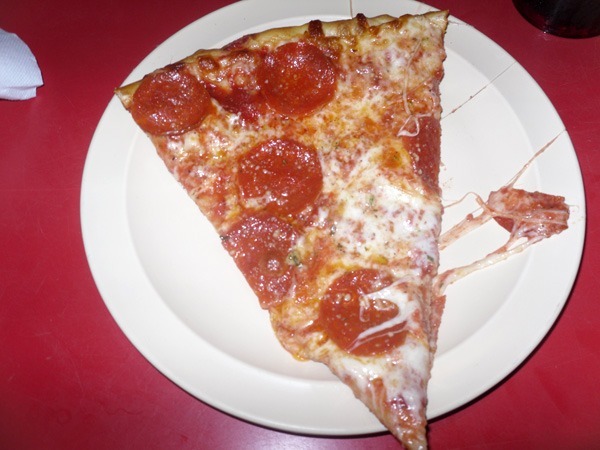 The picture that does the best justice to the pizza is this picture of a slice of pepperoni pizza. You can see how cheesy the slice is, you can tell the pepperoni was cooked right, and see some of the seasoning, as well as a toasted crust. Just looking at this picture is making me hungry all over again for some of their pizza. I can’t count how many times I have walked by this place while visiting Ybor City and never knew what was inside. I’ll have to make it back here sometime to try some of their other pizzas, but this pepperoni pizza was the best I have had so far.